Ryzen Master allows you to personalize and overclock your factory multiplier-unlocked AMD Ryzen processor. AMD Ryzen Master provides for up to four profiles to store custom clocks and voltage adjustments for both the Ryzen CPU and DDR4 memory. You can park cores and adjust memory timings, too. 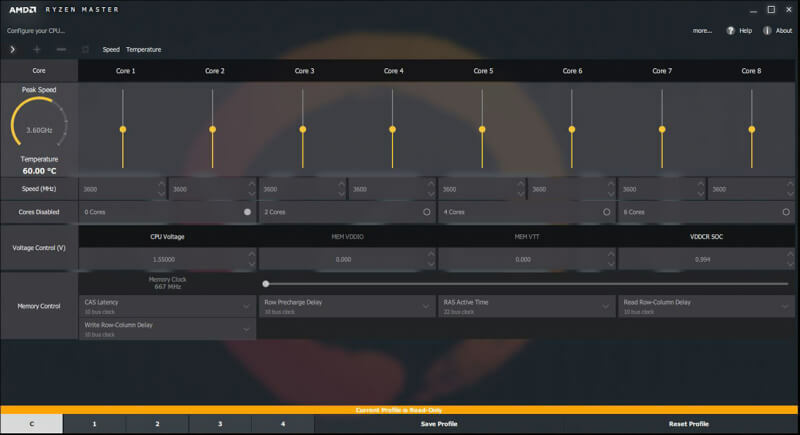 Ryzen Master 1.5 adds support for AMD Ryzen Threadripper 2970WX and 2920X CPUs. AMD Ryzen Master 1st Gen (version 1.4) is for Ryzen Threadripper 2000-series processors and all other Ryzen processors socket AM4 and TR2. Warning: AMD processors, including chipsets, CPUs, APUs and GPUs (collectively and individually “AMD processor”), are intended to be operated only within their associated specifications and factory settings. Operating your AMD processor outside of official AMD specifications or outside of factory settings, including but not limited to the conducting of overclocking (including use of this overclocking software, even if such software has been directly or indirectly provided by AMD or an entity otherwise affiliated in any way with AMD), may damage your processor, affect the operation of your processor or the security features therein and/or lead to other problems, including but not limited to damage to your system components (including your motherboard and components thereon (e.g., memory)), system instabilities (e.g., data loss and corrupted images), reduction in system performance, shortened processor, system component and/or system life, and in extreme cases, total system failure. It is recommended that you save any important data before using the tool. AMD does not provide support or service for issues or damages related to use of an AMD processor outside of official AMD specifications or outside of factory settings. You may also not receive support or service from your board or system manufacturer. Please make sure you have saved all important data before using this overclocking software. DAMAGES CAUSED BY USE OF YOUR AMD PROCESSOR OUTSIDE OF OFFICIAL AMD SPECIFICATIONS OR OUTSIDE OF FACTORY SETTINGS ARE NOT COVERED UNDER ANY AMD PRODUCT WARRANTY AND MAY NOT BE COVERED BY YOUR BOARD OR SYSTEM MANUFACTURER’S WARRANTY. 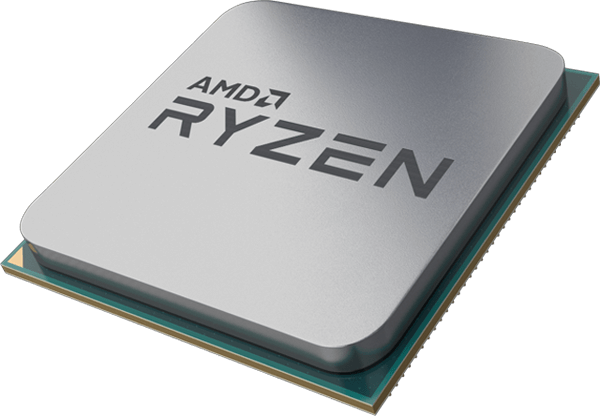 AMD Ryzen features and benefits depend on system configuration and may require enabled hardware, software or service activation. Performance varies depending on system configuration. Check with your motherboard and system manufacturer.